The Afghan government on Sunday launched a new policy strategy aimed at spurring growth and job creation by boosting the export capacities of the country’s private sector and stepping up trade with regional and global markets. 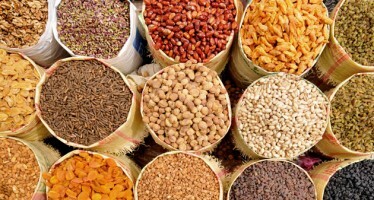 The National Export Strategy (NES), titled ‘Peace through Prosperity, Prosperity through Trade’ is the product of multiple rounds of consultations with businesses and other stakeholders across the country led by the Ministry of Industry and Commerce together with the Afghanistan Chamber of Commerce and Industries. The NES is designed to function as a compass for Afghanistan’s government; private sector and development partners in their joint efforts to help the country’s micro, small and medium-sized enterprises (MSMEs) lift their competitiveness and increase their export potential. It will guide Afghanistan’s efforts to improve the business environment and use trade to generate sustainable employment opportunities and sustainable growth. The strategy identifies six priority sectors with high potential for export growth, employment generation and innovation: dried fruits and nuts; fresh fruits and vegetables; saffron; marble and granite; carpets; and precious stones/jewellery. For each of the six, it sets out policy reforms and institutional investments to tackle bottlenecks that are currently preventing Afghan MSMEs from realizing their full export potential. Announcing the strategy Afghanistan’s Chief Executive, Abdullah Abdullah said: “The NES comes at an opportune time as Afghanistan seeks to boost economic growth and strengthen the productive base of its economy. 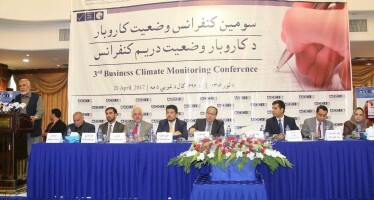 Improving the country’s export performance will be crucial to driving wider and more sustainable economic growth.” He further stated that the government of Afghanistan is committed to implement the recommendations detailed in the NES documents as an engine for job and wealth creation for Afghans. “The NES fits perfectly with Afghanistan’s development objectives of the transformation decade (2015-24). The EU, which opens its single market of 500 million consumers to Afghan products “duty free and quota free”, is proud to be associated to this initiative. Now that the NES is officially launched, it needs to be fully appropriated by the whole Afghan business community, including those segments of the private sector which are primarily import-driven. I hope the strategy will encourage a growing number of Afghan entrepreneurs to consider exports as an integral part of their business model.” said the European Union Ambassador to Afghanistan Pierre Mayaudon. ITC’s support for the Government of Afghanistan is aligned with the ‘One UN’ approach for the country, which is coordinated by the United Nations Assistance Mission in Afghanistan. The One UN approach through UNAMA ensures greater leverage of the support provided by UN agencies to the people and government of Afghanistan in achieving peace and stability, in line with the rights and obligations enshrined in the Afghan constitution.